Music is on the main stage every market day from 11am - 2pm, and special events throughout the year! Posted schedule is subject to change. Please call the main office for confirmation. The Olympia Farmers Market is Seeking a Community Outreach Coordinator! Play on the Market Main Stage! 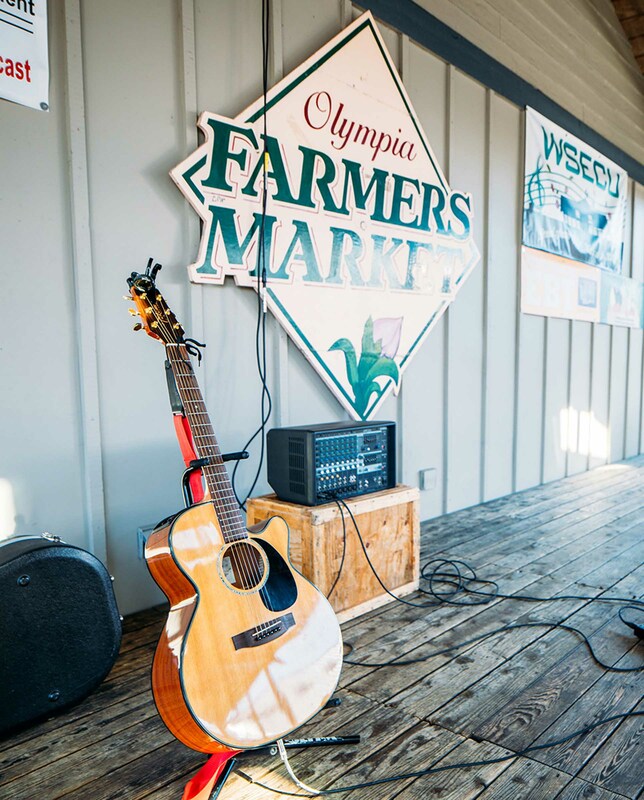 Are you interested in playing at the Olympia Farmers Market? Email us a sample of your music to be considered for main stage scheduling.